MySQL is an open source free relational database management system (RDBMS) released under GNU (General Public License). 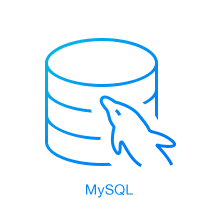 Note: These instructions only works on fresh installation of MySQL on the server, if there is already a MySQL installed using a third-party-distributed RPM package, please upgrade or replace the installed MySQL package using the MySQL Yum Repository”. Download and add the following MySQL Yum repository to your respective Linux distribution system’s repository list to install the latest version of MySQL. After downloading the package for your Linux platform, now install the downloaded package with the following command. You can verify that the MySQL Yum repository has been added successfully by using following command. Thevalidate_password plugin is installed and enabled. A superuser account’root’@’localhost’ is created. A password for the superuser is set and stored in the error log file. Look for root password in error log file. The command mysql_secure_installation allows you to secure your MySQL installation by performing important settings like setting the root password, removing anonymous users, removing root login etc. By, default my.cnf will get created by MySQL rpm installation with default configuration in it. We need to add few more configuration variables in order to make MySQL DB server ready for production use. Following are the standard configuration settings for a production database. These variable values may vary as per the application scope and data workload. Restart the mysql service once the changes are being made. Skip-name-resolve Do not resolve host names when checking client connections. Use only IP addresses. bind_address MySQL bind_address for network interfaces. Pid-file The path name of the process ID file. Datadir Main directory where database,system tablespace and log files will get store. innodb_file_per_table Seperate tablespace for each table.Good for performance and reclaiming free space. innodb_log_file_size Redo and undo logs ,useful for innodb recovery. Value should be greater if you are using BLOB datatype in your database. innodb_flush_method Method used to flush data to the InnoDB data files and log files. innodb_tmpdir tmp directory for ONLINE ALTER operations. master_info_repository crash-safe replication settings, storing log info in table instead of file. The following list shows the available RPM packages. The libraries and include files needed to compile other MySQL clients, such as the Perl MySQL module. Install this RPM if you intend to compile C API applications. The shared libraries (libmysqlclient.so*) that certain languages and applications need to dynamically load and use MySQL. It contains single-threaded and thread-safe libraries. The shared libraries for older releases. It contains single-threaded and thread-safe libraries. Install this package if you have applications installed that are dynamically linked against older versions of MySQL but you want to upgrade to the current version without breaking the library dependencies. Note : Before Installation remove MariaDB library package and postfix package. echo "MySQL Down" | mail -s " MySQL not running on $SERVER_HOST" "$EMAIL_IDS"